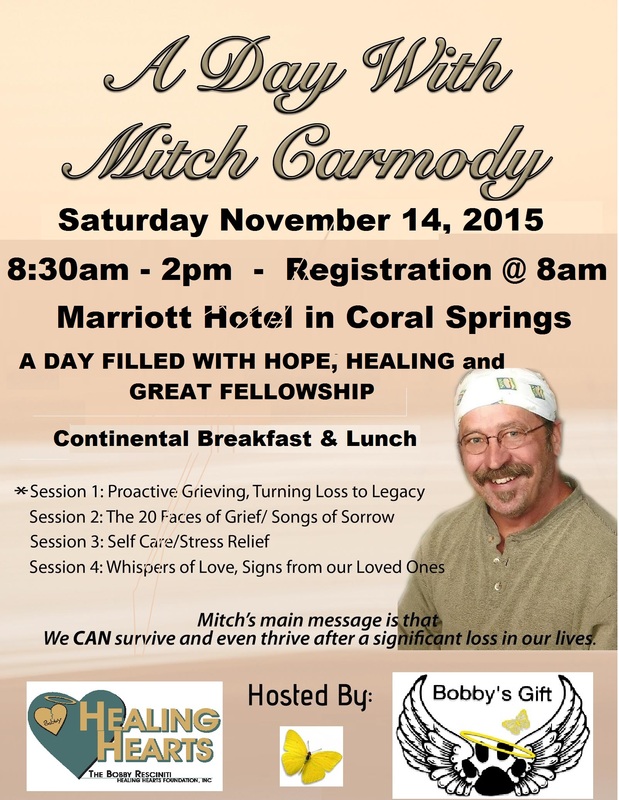 A day with Mitch Carmody – a workshop filled with faith – hope and healing! Please join us for a workshop designed to help people cope, deal and better understand all the different emotions attached to the loss of a loved one. This is open to anyone who suffered the tragedy of losing a loved one. Mitch Carmody GSP, CCP is a grief educator, speaker, writer, published author and portrait artist working out of his studio (www.heartlightstudios.com) in Demark Minnesota. 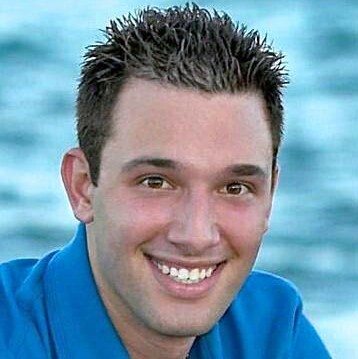 He is currently on staff as a workshop presenter with T.A.P.S. (The Tragedy Assistance Program for Survivors), and recently elected to the national board of directors of The Compassionate Friends, mem-ber of Twinless Twins org., member of ADEC and is a Grief Services Provider. This workshop is completely sponsored by The Bobby Resciniti Healing Hearts Foundation, We ask that all workshop participants attend their annual Charity Dinner Gala the night before at the Marriott. The cost for the dinner gala is 50.00 – the cost for the workshop is ​paid in full by Healing Hearts.